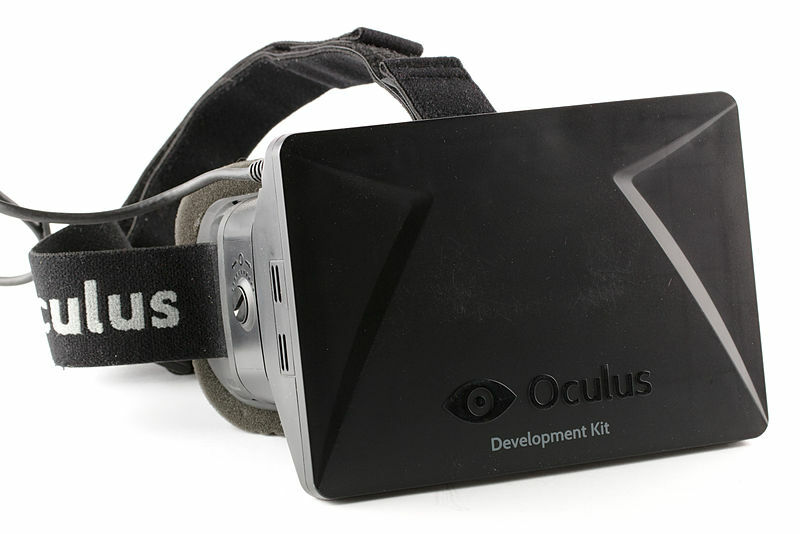 My thoughts on my Oculus Rift DK1 | Hi. I'm John. Um, that wire IS going to go, it’s been announced that the DK2 does away with the control box.. The control box is getting axed, to be sure. But, I still feel that the wire needs to go, entirely. Someone on Reddit mentioned that, if this is done, batteries, which will make the unit heavier, will need to be added. Why not device a little clip for the back of your shirt to hold maybe 12″ of wire up in the air to prevent it from rubbing or pulling when you turn your head? I agree, the wire can be annoying. The future is definitely in either building the hardware into the device or having a support vest for the hardware with the wire positioned in a way that you cannot feel it. I wonder if there is any way to beam line-of-sight data back and forth, I know micro satellites can transfer at gigabit speeds with line-of-sight. Wireless extremely low-latency HD data transfer is a tricky problem.